One of the reasons for starting this website was the wish to share information with patients, carers and other people directly affected by a cancer diagnosis. The site came out of a series of discussions I had with my son George while he was in the middle of his battle against osteosarcoma. We wanted a site that could be used to share science-based information that was likely to be useful, particularly for people looking for treatment options, as we often were. However, I have to admit that in recent months the site hasn’t been getting the attention it used to – the number of new postings has been really light on the ground. One of the reasons for this has been that for a long time I had been working with the UK charity Star Throwers to produce a book that would provide a lot of that type of information in ebook and paperback form. The Star Thowers Guide To Cancer, as the book is called, is now available via Amazon or, if you’re in Wymondham, Norfolk, direct from Star Throwers. The book covers similar ground to this website: science-based, heavy on information, concise and geared very much to looking at new treatment options. Does the world really need another new book on cancer? Book shops are full of new cancer books: memoirs, diet guides, histories of oncology and much more. But this one is different. I like to think of this book as a ‘how to be a difficult patient’ guide. It shows you how to read the cancer literature. How to assess the breathless stories about new ‘cures’ that are frequently highlighted in the mass media. 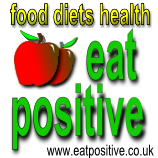 There is a detailed discussion of the tricky subject of cancer and diet. Searching for clinical trials and looking for treatments abroad are also covered in some detail. Local ablative treatments such as cryoablation are covered, including the vital information on where to look for these useful but underused treatments. Finally, there is also a chapter on drug repurposing, a topic I have covered here many times and which I now work on pretty much full-time. In the past I have considered taking the best articles from this site and putting them together as a single download via PDF. But there’s no need now. This book provides the best of this site and much, much more.